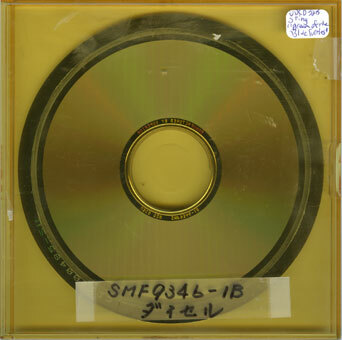 The guy who sells me these amazing items tells me "I was friends with an MFSL employee who ended up with all MFSL's warehouse contents when MFSL went out of business in 1999. I was close to the liquidation of all MFSL's assets when my friend purchased the contents of the warehouse in a court ordered sale." 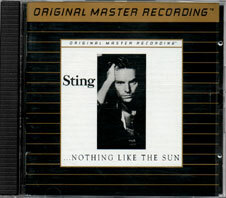 These are the "Masters" that Mobile Fidelity Sound Lab used to make the Ultradisc release of Sting's "Dream Of The Blue Turtles" and "Nothing like the sun", originally released in Jan. of 1990. The technical term I have heard used for this master is "Parts". 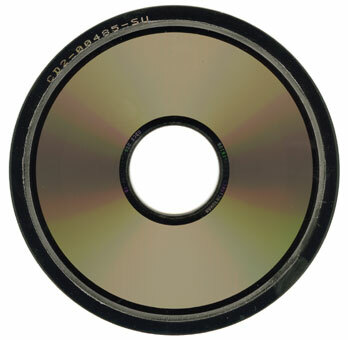 The actual master is not able to be played on a consumer CD player. The master has two sides. 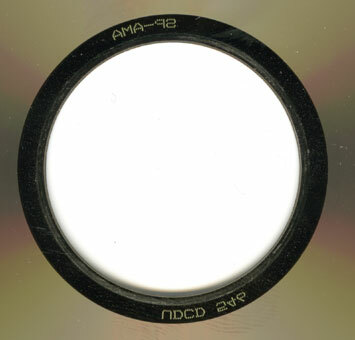 One side is more or less blank, with nothing encoded on it. 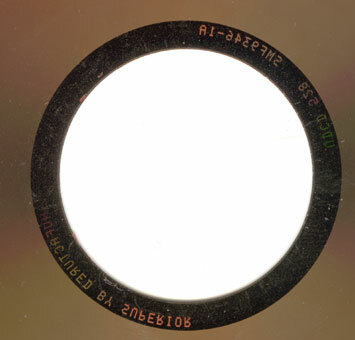 The other side is encoded with the digital information. 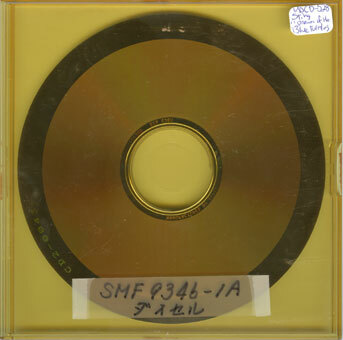 A neat Idea would be to mount this behind glass and include a set of MFSL artwork for this title. 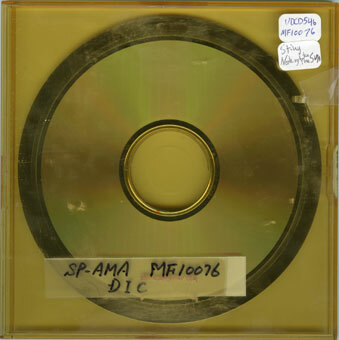 The size of the disc is larger than a regular CD, around 6". 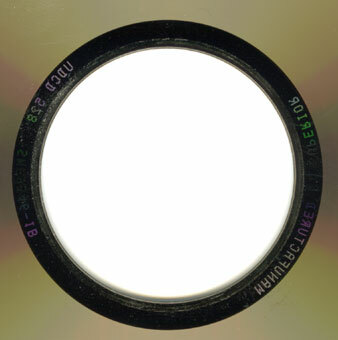 The one identifying tell-tale way to identify what music is on the disc is by the catalog number that is engraved on the inner hub of the disc. The information on the hub is written backwards. These Masters werre manufactured in Japan. 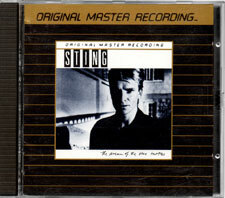 The unique yellow cases that house the master have the master's catalog number written on the outside, in english & japanese. 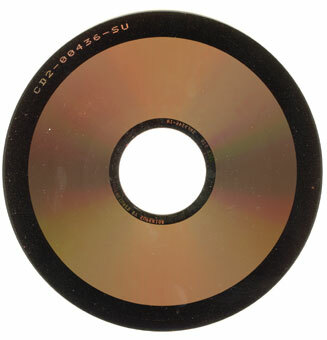 These items really looks like Acetate vinyl, they are thinner than an usual CD and are made with metal. 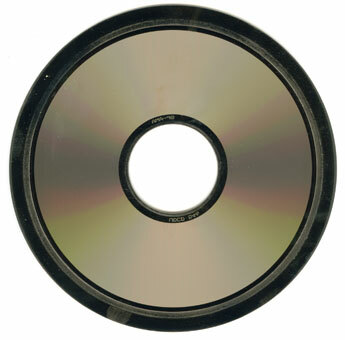 Also, the inside part, where there is plastic on the orginal CD, is empty. The first master of "Dream of" is pinker than the 2 other ones that are silver.